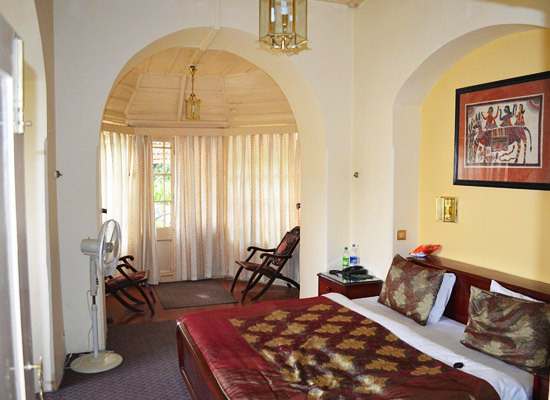 "Placed just below the Mall road amid chestnut and cedar trees, offering wonderful views of the Doon valley, Hotel Padmini Nivas is one of the most popular heritage hotels of Mussoorie. 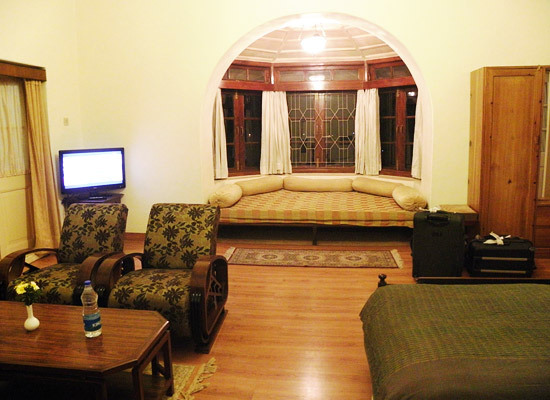 The hotel is a wonderful blend of vintage culture, natural beauty and modern conveniences. Spread in 4 acres of well-maintained gardens, the property has cottages, rooms, suites and apartments, which are filled with world-class facilities and amenities. Trophies and ornate fireplace instill the feel of British times. 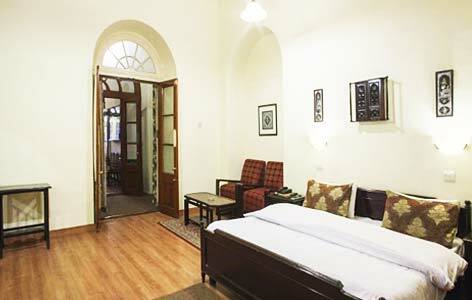 Wi-fi, library, conference hall, parking area, games room are some of the facilities offered to the guests. 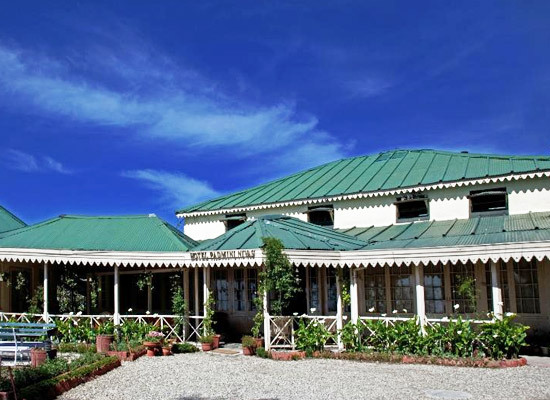 One of the oldest estates in Mussoorie, Padmini Niwas was constructed by Mrs. Ann Ross in the 1830s. Later, it came into several hands, before an Australian brewer bought this estate. He named it Rushbrooke Estate. The flagstone stating ‘Rushbrooke’ is still visible at the entrance of the main building. In 1925, the property was put for sale by Mr. Charles Mair Gregory, its British owner. The property was bought by the then Maharaja of Rajpipla, Shri Sir Vijaysinhji Chhatrasinhji, who renamed it Padmini Niwas, after his wife, Maharani Padmini Kuverba Sahiba, the princess of Panna. The Maharaja passed away in 1951 and the property now belonged to his wife. The current owners of the property, bought Padmini Niwas from Maharani Padmini in the year 1964. Firstly, turned into a summer family getaway, it became a heritage hotel in 1979. 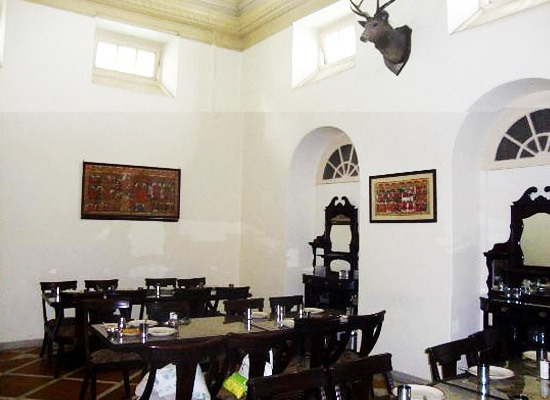 Suruchi is the on-site multi-cuisine dining venue that serves lip-smacking vegetarian delights. Do not miss the Gujarati thali, and special aloo parantha that is served during breakfast. The ambiance of this restaurant is warm and pleasant. Derived from the word Mansoor, an indigenous herb quite common to the area, Mussoorie is famous for its Mall, which during the British rule, prohibited Indians from entering it. It became the summer capital of Nehru family and Vijaylaxmi Pandit, the sister of Jawaharlal Nehru was so impressed by the inherent beauty of the place that she settled here for the rest of her life. Mussoorie is visited by Indians and foreigners alike, and it has numerous places of tourist attractions.